As medicine is not developed for the doctors Archaeology is not developed for the archaeologists. Archaeology produces knowledge to be used in social arenas and in personal cultural enlargement. 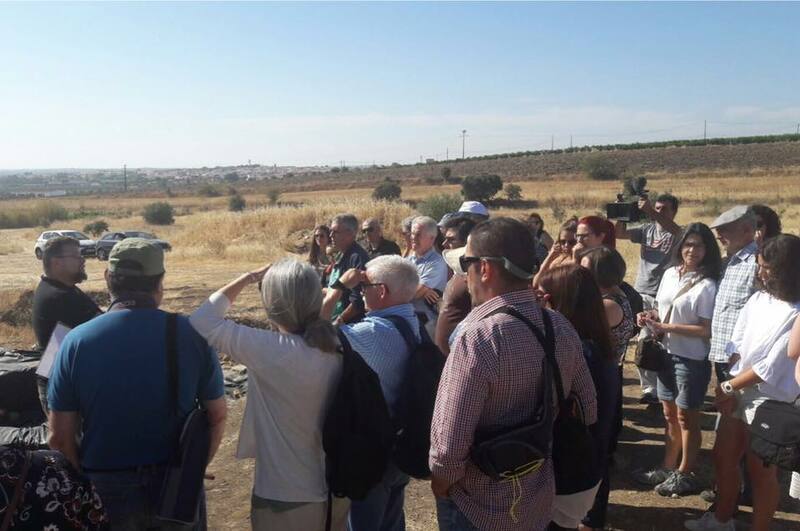 Therefore, archaeological work and archaeological knowledge is to be shared, communicated, and debated with the public. Only then the job is done. 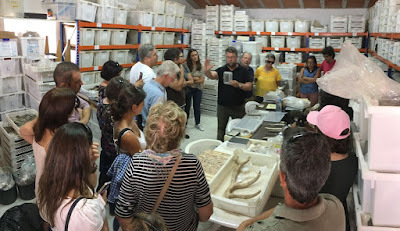 Opening the excavations to public visit and communicating ongoing research is part of that. So, today, it was open day at Perdigões. 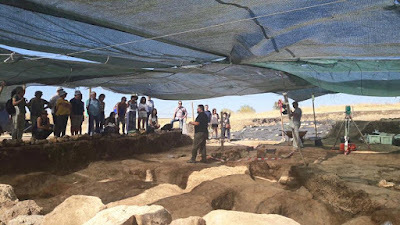 Visitors could see the site and the ongoing excavations, the site museum, the deposit where materials are being treated and assist to a conference that debated the presence and the possible meaning of exotic materials in the Perdigões funerary contexts. At Perdigões this practice is already a tradition. Half of the participants visiting the deposit of archaeological materials, some that are being presently worked. The first half has already left for the museum.